Bright, young, energetic contractor providing bespoke stonework throughout Scotland. A friendly, approachable team aiming to deliver the perfect blend of youth, energy, experience & knowledge. Freshly operating out of Perth in Scotlands central belt but will travel the length & breadth of the country. Whether it be commerial or domestic projects, repointing with traditional mortars or bespoke masonry & carving we have the personnel and skill sets within our diverse team to suit your needs. Consultation & survey work also undertaken or if you just want some simple advice and a bit of a chat, please don’t hesitate to get in touch with us! 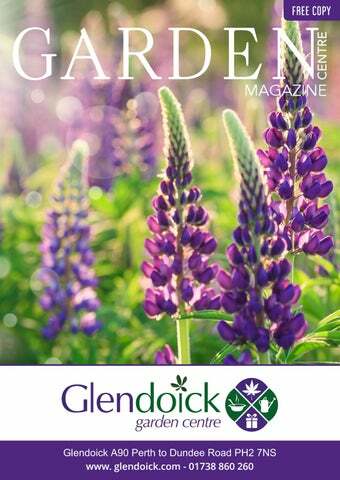 Hello and welcome to the new edition of the garden centre magazine for Glendoick Garden Centre, It's quite clear to see why this beautiful garden centre has won "Best Garden Centre in the UK" twice! Priding themselves on selling customers Scottish plants whenever they are available, the garden centre really does go the extra mile for its customers. To help you choose the best plants, Kenneth Cox has published a FREE guide with 100 Best Plants for Scotland, which you can pick up whilst at Glendoick. 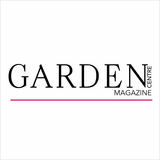 The magazine also has many different editorials and will hopefully give you inspiration and ideas on your next garden or home project. Alongside you will find local businesses whose services may just be what you are looking for. We have also launched a digital copy of the magazine, available to view on your smart phone instantly. Please scan the QR code, featured at the bottom of this page, and this will bring up the publication for you to view. You can also access the digital magazine at touchpoints in the garden centre. One of the most exciting features of our digital publication is that it contains video (where applicable) and live links to interact with your garden centre and local businesses. You can interact with the garden centre's social media or connect with local business websites with just a quick tap on your device. As always, we welcome feedback on our magazine, if you have any comments you'd like to add, we would love to hear them. Please email me directly: Jessica@yhgmedia.co.uk Kind regards and happy reading! T. 0345 115 1478 E.info@yhgmedia.co.uk www.yhgmedia.co.uk YHG Ltd Unit 9 Neptune Court, Hallam Way, Whitehills, Blackpool FY4 5LZ Disclaimer: The information contained within The Garden Centre Magazine we believe to be correct at time of going to press. No responsibility can be accepted for any errors or omissions. The features in this publication are intended as guidelines only. DIY tasks can be dangerous and should not be undertaken without both the right equipment and skill. If you have any doubts, seek professional advice. Skill level and duration are given as approximate guides only. The businesses and products advertised in this publication are in no way endorsed by the Garden Centre. If you have any issues or complaints regarding the magazine please contact YHG Ltd.
J MITCHELL & CO YOUR 1ST STOP FOR GARDEN MACHINERY J Mitchell & Co has been in business at Kinrossie Smiddy for 36yrs this year. My Dad and Mum bought the company as a going concern from the famous Jack Redford and his wife in 1982, this was then run as a blacksmithâ&#x20AC;&#x2122;s shop. Jack, who shoed horses and was a professional at wrought iron work, taught me many skills on the forge and the anvil. This would have been 25 years ago. I, John then decided to diversify into garden machinery. We have many dealerships which we have managed to acquire over the years. We also hire a range of hand held and hand operated equipment and we are also expanding our hire fleet to walk behind power units with various attachments from BCS, which has a really good range of ground care equipment. We also hire a range of hand held and hand operated equipment ie. Turf cutters, stump grinders, hedge cutters â&#x20AC;&#x201C; long or short etc etc. Located in the heart of Scotland. We are here in Perth ready to make all your ideas out of Metal and Steel Work. We're offering advice and good communication on every step of our cooperation. Glendoick Garden Centre is a multi-award-winning third-generation family business, run today by Kenneth and Jane Cox. Glendoick began as a Rhododendron Nursery in 1953 founded by Ken’s grandfather, Euan and father, Peter Cox. The Garden Centre opened in 1973 and has grown over the decades, adding a café in 1993, a food hall in 2003 and more recent expansions in 2011 and 2018. Glendoick is world famous for its Rhododendrons and Azaleas, but we also have a reputation for the quality of our plants, speciﬁcally grown and chosen for Scottish conditions. As world-leading specialists, Peter and Kenneth Cox have written 20 books on Rhododendrons, plant hunting and Scottish gardening, raised over 50 new hybrid Rhododendrons and Azaleas and introduced many species to the UK from their plant-hunting expeditions. Open 7 days, 9am to 5pm in the Winter (Sunday 10am to 5pm) & 9am to 5.30pm in the Summer. Many garden centres today buy their plants from Holland. Glendoick is determined to sell customers Scottish plants whenever they are available. Some of the many examples of Glendoick's Scottish-grown plants include: the UK's largest selection of Rhododendrons and Azaleas grown on site at Glendoick; shrubs and perennials from Peter Milne Wholesale Nurseries, Glendoick; bedding plants from Gary Young, less than 3 miles from Glendoick; Meconopsis from Inverary, Argyll; Alpines and perennials from Highland Lilliums, near Inverness; Heathers from local growers; Poinsettias from Pentland near Edinburgh; Christmas trees from Auchterhouse by Dundee. If we go south of the border, we use suppliers in the North of England: trees and shrubs from Yorkshire, bedding, herbs and vegetable plants from Cumbria. This not only guarantees freshness but also means plants will be suited to local Scottish conditions. To help you choose the best plants, Kenneth Cox has published a FREE guide - 100 Best Plants for Scotland which you can pick up here at Glendoick. Kenneth Cox is Scotland’s best-selling gardening author, writing books on plants, gardens, fruit and vegetables for Scotland, all available to purchase in store or on-line. Advice Sheets on choosing plants, soils, rabbits & deer management and many more topics are also available to pick up in store. Sourcing only the very best in local produce, our award-winning café has become a ﬁrm favourite on the Tayside foodie scene. With suppliers from nearby Perthshire, Dundee, Angus and Fife, we oﬀer a true ﬂavour of Scotland. We serve soups, sandwiches, home-baking and other lunchtime favourites. Drop in for coﬀee and a home-made scone or try one of our daily hot specials for a more ﬁlling option. The newly extended café now has a dedicated afternoon tea area overlooking the beautiful display garden and woodland walk areas. Served on beautiful china, customers can enjoy ﬁnger sandwiches, home-made sausage rolls, a mini Glendoick fruit scone served with Chantilly cream and jam and a selection of home-made petit fours. Styled in a fun, shabby-chic vibe with lots of colour and fabulously unique upcycled chandeliers, the Afternoon Tea Lounge is fast becoming a favourite amongst our Glendoick regulars. Gifts, homewares, fashion, stationery our fantastic Foodhall & much more! Fashion • Accessories • Foodhall • Pamper Gifts • Candles Our shopping experience provides a wonderful browse around some of Scotland’s favourite artists, makers and crafters, beautiful gifts and homewares, ladies and gents fashion as well as a fabulous selection of locally sourced speciality foods in our food hall. We have toys, beds, tasty chews, squeaky toys and collars with leads to match. Following extensive research, Glendoick now sells it is own range of pet food for dogs, puppies, cats and kittens. Designed and produced by a nutritional team at Plockâ&#x20AC;&#x2122;s Farm in Lancashire, it is gluten-free and approved by vets. Feeding the wild birds is a wonderful way to attract a plethora of feathered friends to your garden. We stock a wide range of quality bird seeds, seed mixes and treats as well an extensive range of bird feeders, birds tables and other bird care accessories. We stock a select range of garden furniture that will stand up to the tough Winter and Summer weather conditions. From garden benches, tea for two, relaxer chairs to lounge and dining bistro sets, we have something for you to create your very own perfect outdoor oasis. We also sell a selection of barbeques, parasols, cushions and garden toys to add the ﬁnishing touches to your outdoor living experience. A local delivery service is available, please enquire at the tills. Glendoick stocks everything you need to keep your garden looking its best all year round. We have a fabulous range of gardening gloves, tools, pots, garden ornaments, solar lighting, composts, fertilisers, weed killers and pest control both traditional and organic as well as chemicals, watering equipment, hanging baskets, garden décor & much more! Expert staﬀ are on hand to answer any questions you may have and to help you choose the right products. This year Glendoick is celebrating 100 years since Euan Cox returned from plant hunting in Burma with the ﬁrst seeds to be planted in the Gardens. How it all began … A chance meeting at a tea party in London in 1918 changed the course of Euan’s life. Reginald Farrer was already one of the most famous garden writers and plant hunters of his day. Farrer asked Euan to accompany him to upper Burma on a plant collecting expedition in 1919. This was the diversion Euan needed to excuse himself from the family jute business. His decision to join Farrer was to have far-reaching consequences, leading to the Cox family’s 90+ year involvement with Rhododendrons and plant collecting. The Glendoick Garden and woodland walks can be explored in April & May 10am - 4pm everyday. Glendoick Play Launched in June 2017 and situated just behind the cafe in our beautiful grounds, our fantastic outdoor playpark makes it even easier for families to enjoy a day out in the fresh air. Our playpark was carefully designed to ensure children of all ages and abilities can enjoy themselves. And on Thursdays, we give priority to children with Additional Support Needs and their families. If it rains, our new indoor soft play area, opened in March 2018, is suitable for babies and children up to 8 years old. Inside the centre we have a wide selection of Children's toys, books and games from brands like Jelly Cat, Lego, Orange Tree and more! Glendoick Play is supported by Rural Perth & Kinross LEADER programme 2014-2020: The European Agricultural Fund for Rural Development: Europe Investing in Rural Areas. So much more than a Garden Centre Plants are important to us: they are our roots and heritage, and over the years, we are proud to have added a thriving café, play areas for the children, gifts galore, not to mention the fantastic food hall and we hope to provide something of interest to everyone who visits us. You can purchase Glendoick gift vouchers to spend throughout the garden centre or HTA vouchers, redeemable throughout centres in the UK. We oﬀer a plant gift wrap service, carry to car service and local delivery. Our hardy plants are guaranteed for two years (see website for full T’s & C’s) and most importantly of all, we oﬀer free expert knowledge so that you can buy with conﬁdence. Specialising in large Victorian and Edwardian diamond rings and coloured stone set jewellery, Timothy Hardie has probably the largest selection of antique jewellery in Scotland. We also stock a large and extensive range of Victorian, Edwardian and modern silverware, South Sea and Tahitian pearls, Akoya and Freshwater pearls as well as silver sporting models and silver jewellery. i WE PRINTED THIS BOOKLET! YOUR ONE STOP SHOP FOR ALL YOUR CARAVAN AND MOTORHOME SERVICING, REPAIRS, SALES, ACCESSORIES, SATELLITE SYSTEMS, SOLAR PANELS, REVERSING CAMERAS. Motorhome Services Scotland are an independent service and repair centre for motorhomes and caravans, based in Perth, Scotland. Our reputation for attention to detail and excellent customer care, is spreading through the industry fast, due to the fact our engineers have more than 12 years experience and have been trained to the highest of standards in the industry. Our engineers all hold City and Guilds qualiﬁcations in motorhome and caravan servicing and repairs. they are factory trained by motorhome manufacturers, A.C.S Gas qualiﬁed and are NCC (National Caravan Council) approved and trained to carry out all electrical testing/inspection. Our team have also been trained by many industry leading applience and equipment manufacturers which include… Thetford, Alko, Truma, Alde, Hal Locate, Roadpro and Oyster. Loc ated 3 miles from Perth, near Scone our 4* hotel has t w o res t au rant s and t wo gol f cou rs es w ithi n our 350 acre estate with views over t he S t rathmore hi ll s .